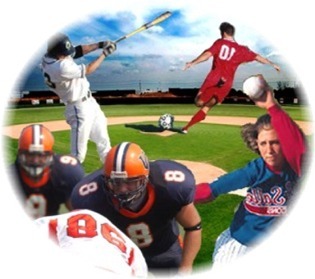 Many athletes go to chiropractors for more than just injury treatment. Chiropractic care is intended to correct subtle and severe disturbances and imbalances in a persons nervous system. For an ordinary person this means an improved ability to adapt to his or her internal and external environment accordingly. As a result of a proper functioning nervous system, improved health and less injury can occur. For an athlete this can translate into improved reaction time, better balance, hand-eye coordination, body position sense and faster recovery time. All things necessary to provide the Natural Edge that may be the difference between winning and losing and event. Chiropractic adjustments improve healing time, reaction time and coordination just to name a few benefits. The speed of these processes are crucial to any competitive athlete. Chiropractic care is a must of anyone who is serious about excelling in their sport. To integrate chiropractic adjustments into your training regiment call Dr. Vic Naumov, DC, CCSMS at 201-265-8688. 1. Grimston SK, Engsberg JR, Shaw L., Muscular rehabilitation prescribed in coordination with prior chiropractic therapy as a treatment for sacroiliac subluxation in female distance runners. Chiropractic Sports Medicine, 1990; (4:2-9). 2. Lauto A., Mouch B., Chiropractic effects on athletic ability. J Chiropractic Research & Clinical Investigation, 1991; (6:84-87). 3. Kelly DD, Murphy BA Backhouse DP. Use of a mental rotation reaction-time paradigm to measure the effects of upper cervical adjustments on cortical processing: a pilot study. JMPT, 2000; (23:246-251).